No matter the name changes, Chicago’s real Sears Tower was never downtown. 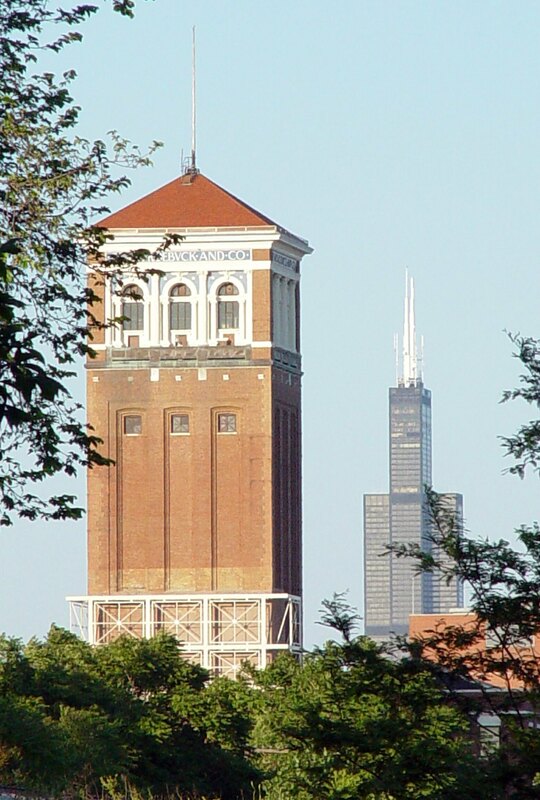 The original Sears Tower has been watching over North Lawndale on Chicago’s West Side for a century, serving as a reminder of when Sears, Roebuck and Co. brought peace and prosperity to a community now lacking both. Beginning in the early 1900s, tens of thousands of workers poured into Sears’ 40-acre complex in North Lawndale each day. It had its own power plant, its own fire department and a YMCA facility. It was home to the world’s largest business building, from which flowed millions of catalogues that blanketed the nation’s kitchen tables. But for North Lawndale residents, Sears was more than just bricks and mortar. It was community. It was pride. It was a ladder up to the middle class for generations of black families. In 1968, riots in the wake of Dr. Martin Luther King Jr.’s assassination ravaged North Lawndale. The neighborhood was ablaze. Livelihoods were destroyed. A mass exodus of businesses followed. Sears, too, would soon leave North Lawndale behind, moving its international headquarters downtown in 1973. It wouldn’t be long before the waves of workers coming into the campus slowed to a trickle, eventually going dry. Things were never the same. West Grenshaw, a street that once ran along the southern border of the Sears campus, became a heroin haven. One harrowing image shows dozens of customers lining up to purchase the drug on a summer day in 2015. The massive brick warehouses came tumbling down. Up went an infamous police facility that made international headlines for “disappearing” more than 7,000 residents. Home values tanked, population levels plummeted and violence increased. But where many saw hopelessness, UCAN saw opportunity. With a bold vision, millions of dollars in investment, and a sparkling new campus atop the land on which Sears’ printing presses once whirred, UCAN is changing the narrative. UCAN began with a promise. In 1860, at the onset of the Civil War, a North Side Chicago church promised to care for the orphans of fallen soldiers. This promise would later become Uhlich Children’s Home, which changed its name to Uhlich Children’s Advantage Network, or UCAN, in 2002. The group now provides a litany of services to traumatized and at-risk youth across the city, ranging from anti-violence programming, to job training, to housing assistance. For Claude Robinson, Executive Vice President of External Affairs and Diversity at UCAN, the opportunity to build on the site of a fallen icon was too good to pass up. First, it made business sense. Leaving its longtime home on the northwest side of Chicago, it would be tough for UCAN to find two entire blocks for much cheaper in the Windy City. But more importantly, UCAN wanted to take a larger role in the communities it had served for decades. “We wanted to be in a community,” Robinson said. UCAN held its first town hall meeting on Sept. 1, 2011, at Sunrise Baptist Church, in the shadow of the original Sears tower. “I call it a rude awakening,” Robinson said. While Robinson and his team had secured a great deal of local political support for the project, they had a long way to go to convince a vocal minority of community members. Some attendees were worried that UCAN would bring more “bad kids” into an already troubled neighborhood, since they planned to build housing and treatment facilities for troubled youth on the campus. Others were concerned that the project wouldn’t provide enough badly needed jobs to the area. A few grappled with the optics of what they perceived as a white organization coming in to “save” a black community. 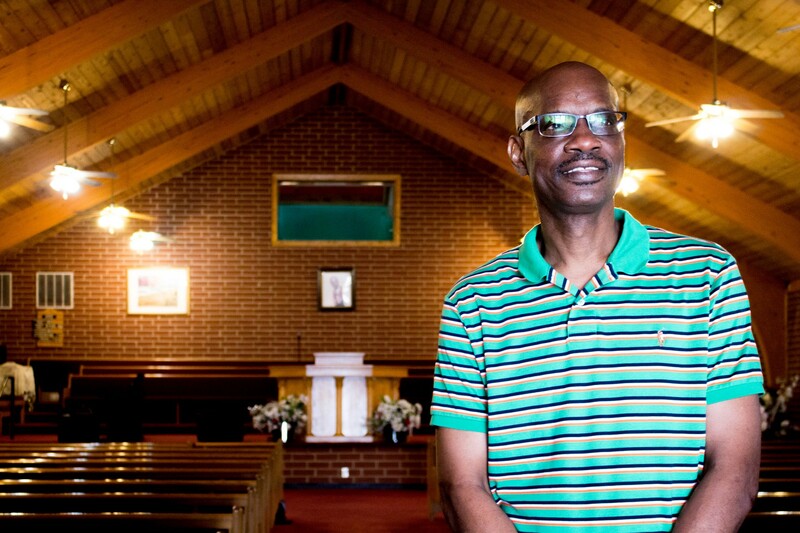 Pastor James Storey of Sunrise Baptist Church, now UCAN’s neighbor, remembers the meeting well. 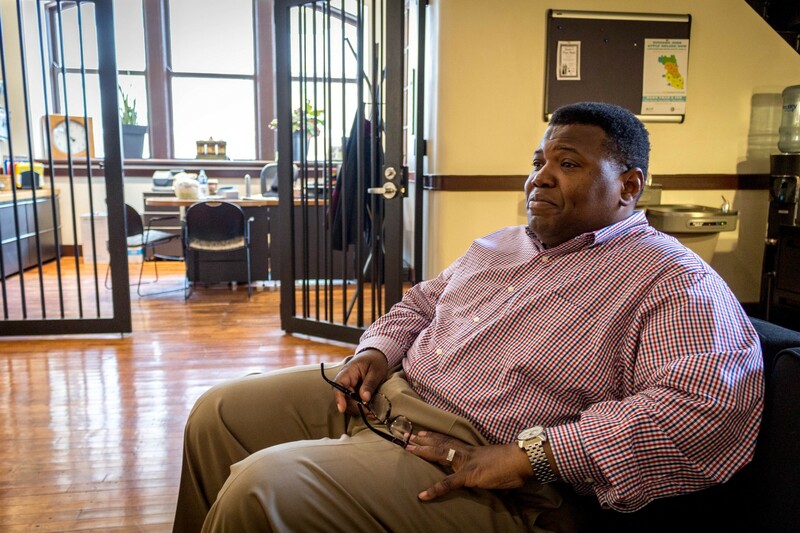 He has witnessed firsthand the persistence of broken promises in North Lawndale. Charles Rice, coach of North Lawndale Eagles football team, echoed Storey’s concerns. 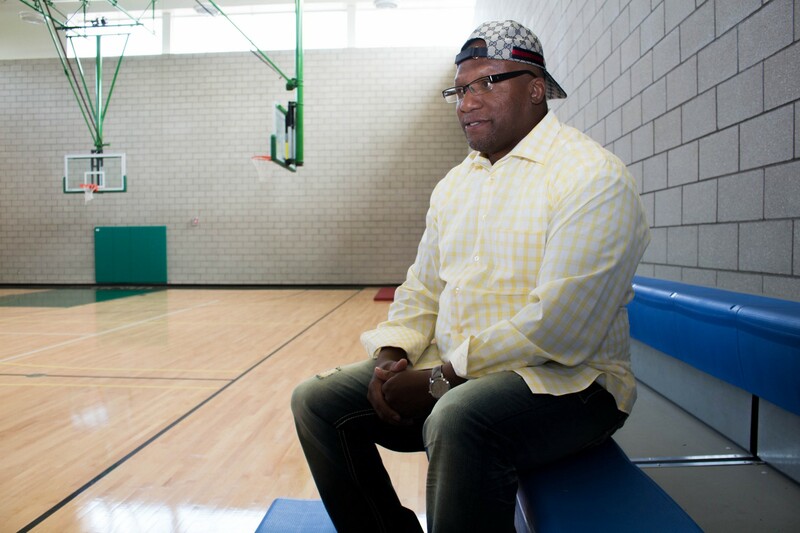 Born and raised in North Lawndale, Rice remembers attending programs for local families at Sears, where his aunt worked. In adulthood, he’s experienced the pressure of some organizations trying to use his influence in the community to push their own agenda. Both Storey and Rice were staunch supporters of the project from the outset, as were all of UCAN’s neighbors, and even most community members. But a motivated few threatened to derail the project. 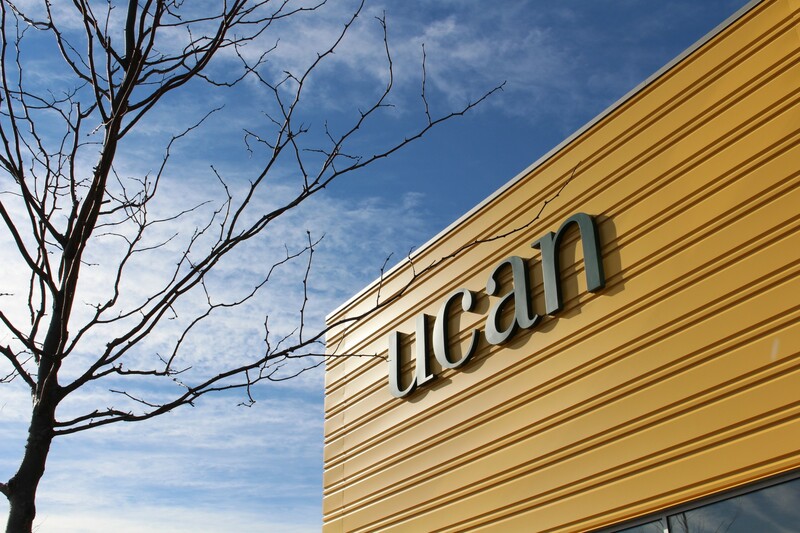 UCAN was determined to work with the community to create something they could all value and support. 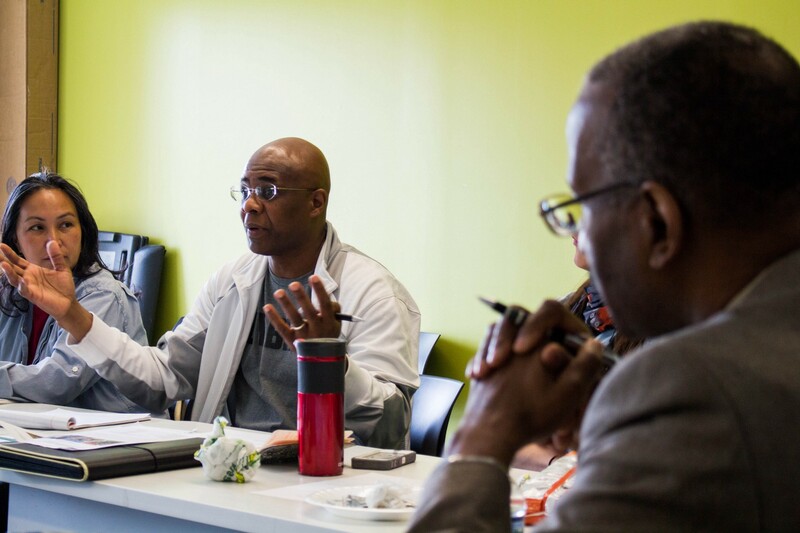 Robinson and his team started working aggressively to tweak their community strategy: “engage, educate and empower.” Dozens of community meetings followed, each one a chance to speak honestly and transparently about UCAN’s intentions and core principles, including their organization’s unrivaled diversity. Robinson and his team presented community members with a promise to provide real value for North Lawndale, ensuring the use of local vendors and working with subcontractors to hire local labor. They began to change hearts and minds. And UCAN’s most ardent supporters became better informed as well. North Lawndale residents had been duped before. But UCAN wasn’t making empty promises. In 2015 alone, UCAN spent nearly $600,000 on services from local vendors in North Lawndale. And at every turn, leadership sought out the diversity that UCAN expects of its own organization. Sixty percent of subcontractors working on the North Lawndale campus development were minority- or women-owned businesses. And after extensive negotiations, UCAN was able to secure 45 new hires among its subcontractors for the project. All were local workers. Major North Lawndale institutions began taking note. “I could not be prouder of the job that UCAN did on diversity in hiring and vendor relationships,” said Kevin Sutton. Sutton is the Vice President of the Foundation for Homan Square, a nonprofit organization founded to oversee the redevelopment of former Sears properties in the area. It has transformed the original Sears Tower, now called Nichols Tower, into a hub for job training, arts education and leadership development. If community-focused hiring and spending changed the story, buildings transformed the tone. UCAN broke ground on its new campus in 2013. The weeds and tall grass of a vacant lot were replaced with bustling activity as the lot started to transform. Across the street from the project, Pastor Storey was amazed. Not only is it beautiful. It is functional. Each detail, from the parking lot, to the way in which youth housing is offset from the main street, to the material of the walls in the residences, is purposeful. UCAN CEO Tom Vanden Berk is proud of what his team has been able to accomplish thus far. It is with that empathy and quality of work that UCAN honors the ground on which it now stands. Where one pillar of the community has fallen, another has finally risen.